Not a lot of grooms can make it work in a white tuxedo, this groom did. For this portrait we went into the bar at the old Cypress hotel in Cupertino. As most bars are rather dark, I had to drag the shutter quite a bit to match the fill flash with the ambient light. 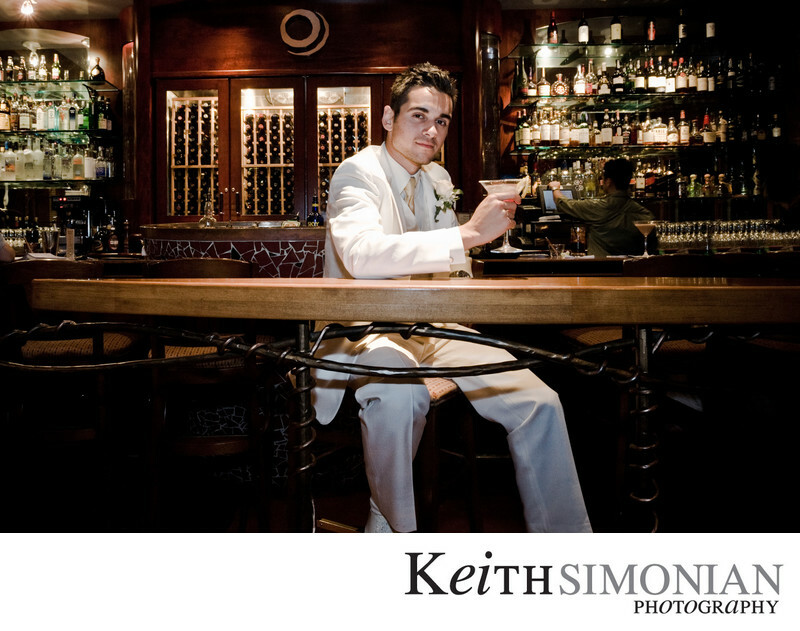 The drink the groom his holding adds a savvy touch to the photo. Location: Juniper Hotel Cupertino 10050 S De Anza Blvd Cupertino, CA 95014. 0.4; f/10.0; ISO 800; 17.0 mm.